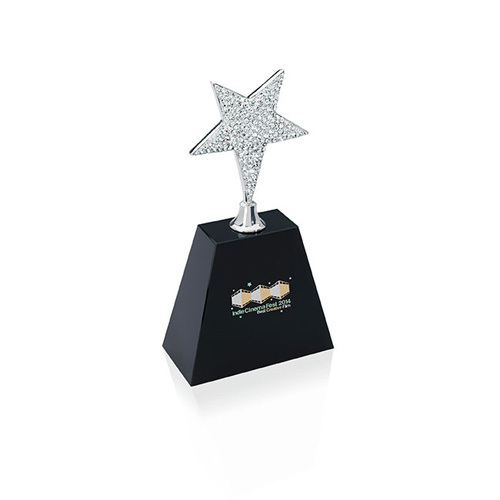 Small This trendy and youthful award is great for awarding the rising stars in your organization. Features stunning rhinestone star at the top. Gift Box / 19 lbs / 12 pcs.